The boxes contain about 4.2kg of vegetables, made up of eight seasonal varieties, including staples such as carrots, onions, potatoes and cauliflower, sourced from British growers. 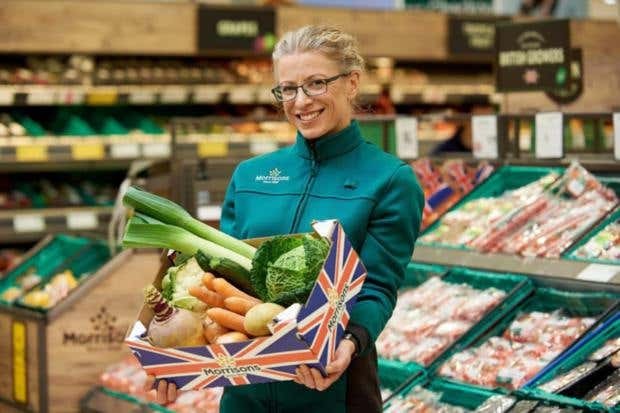 Morrisons has launched a £5 veg box which it claims can feed a family of four for a week. Customers who don’t mind their vegetables “wonky” can buy a box for just £3, plus a delivery charge, of between £1 and £5. Morrisons is going head-to-head with big-four supermarket rival, Asda, which recently launched its own box of misshapen vegetables for £3.50.